The next time you need Kia service, Walker Automotive is easily the best choice for auto repair in both New London and Wilmot. 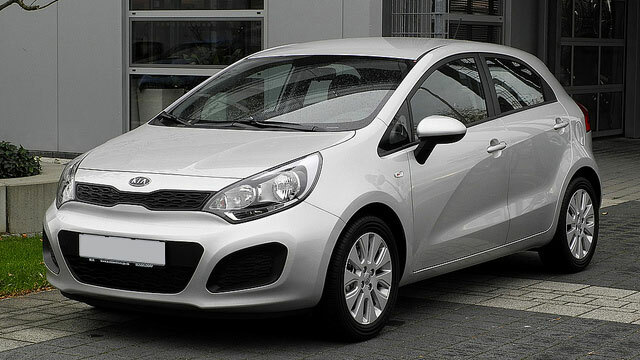 Since 1992, we have serviced Kia owners throughout the community. Our customers count on our team to provide honest and thorough service every time they visit us, and we aim to always to deliver. We want to see you and your family in your Kia on the New London and Wilmot streets for years to come, and we think with our top-notch Kia service, your Kia will running like new in no time. At Walker Automotive, we like to think of the long-term, which means we want to be your auto repair shop for the long run, and we want you to rely on your Kia for many more miles. Whether you need a minor service, such as oil change, or something more major, our auto mechanics are here to help. Our Kia service includes a thorough inspection, and we will forward you a report, complete with detailed notes and pictures. At Walker Automotive, local to both New London and Wilmot, transparency is the name of the game. From preventative maintenance to a complex brake repair, trust Walker Automotive to handle any and all auto repair. It’s all about transparency here, as we are upfront and honest each step of the way. For a facility convenient to both New London and Wilmot that goes the extra mile to repair and maintain your vehicle, you are in the right place. Schedule an appointment for Kia service. Walker Automotive is located at 3 Deerwood Dr., Wilmot, NH 03287.